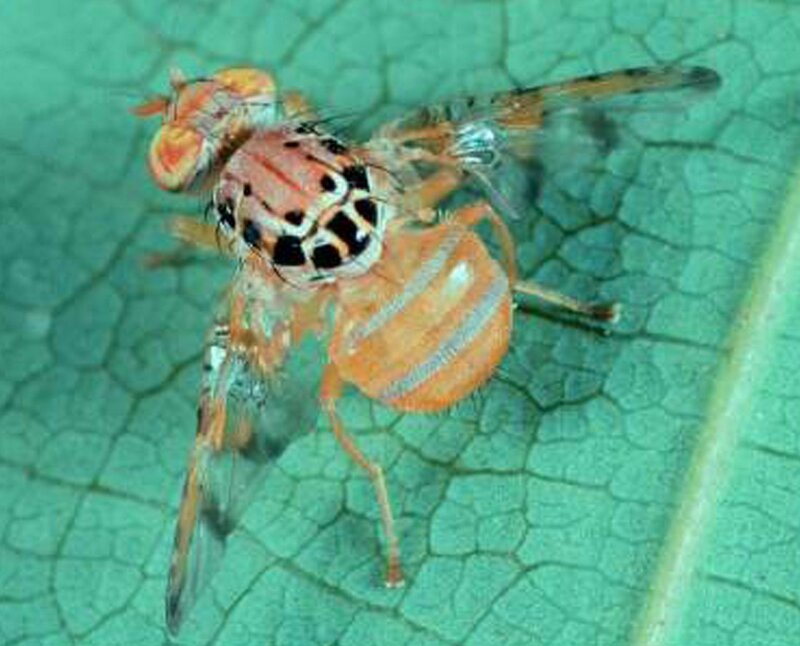 Several species of fruit flies are pests of citrus in Africa. In East Africa the most important are B. invadens, a new species of fruit fly recently introduced in the region, and C. capitata (Sunday Ekesi, personal communication). The female fly lays eggs within the skin of ripening fruits. Spots develop on the skin where eggs were laid and the hatching larva enters the fruit. 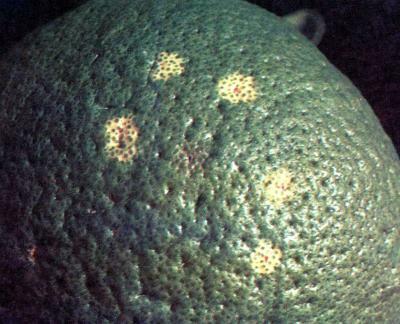 The attacked area becomes soft, turns brown and decays as a result of secondary infection. These pests are controlled by orchard sanitation and application of baits. Monitoring fruit flies to determine when they arrive in the orchard is very important for the management of these pests.